As a recent member of the CE3C family I will present the work that is being done at INIAV, Oeiras. 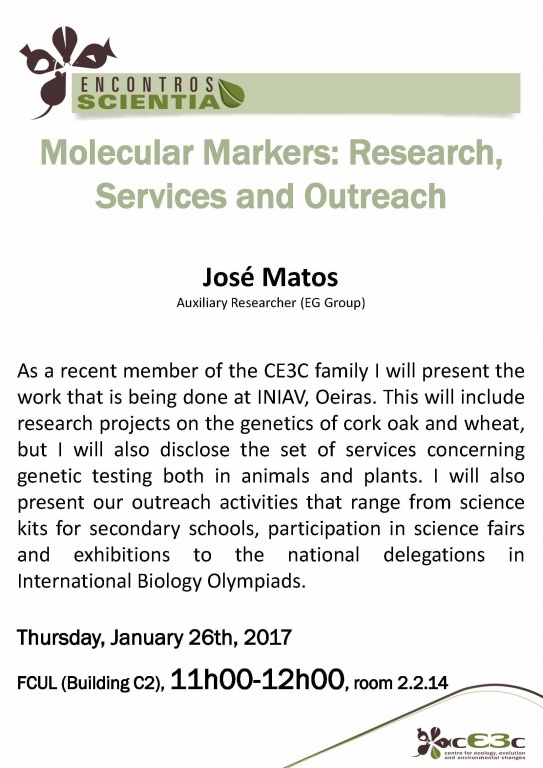 This will include research projects on the genetics of cork oak and wheat, but I will also disclose the set of services concerning genetic testing both in animals and plants. I will also present our outreach activities that range from science kits for secondary schools, participation in science fairs and exhibitions to the national delegations in International Biology Olympiads.